If you are beginner and responsible more over for implementation than this is the right certification for you. This is also easier than administrator exam. If you are seriously want to make a career as DMA than first your should start with this certification. This one is bit easier so once you clear this exam, you will get more confidence for another one. 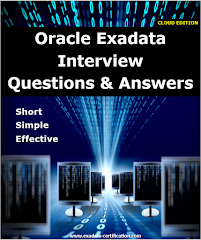 This exam is designed specially for exadata machine administrator. It required in depth study before appearing into the exam. It includes all the topics in detail which will help you in your day to day job. Following are some suggestion which will help you to clear the certification. You should not just aim to clear the certification but you should also have good interest toward the technology. 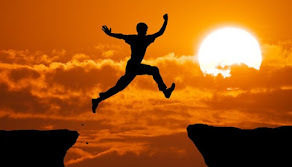 Believe us this will help you to gain more confidence. 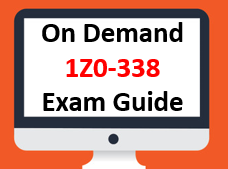 Practice exam using exam study materials and exam simulator. It will help you to know on which area your are weak and accordingly you can give the time to those topics. If you have any doubt than ask someone who has cleared or who knows the topics very well. You can also write down your query to us. If you have sufficient time than go back to the the questions which you have marked for review. Even if you have not marked than also going back second time will give you additional points. 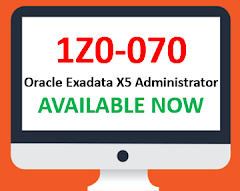 Recently Oracle announced new exadata certification based on exadata machine X5 generation.